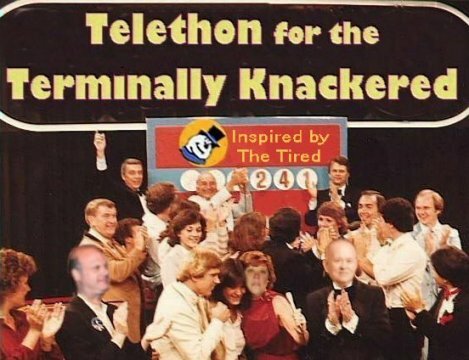 Yes, it's the Telethon for the Terminally Knackered! 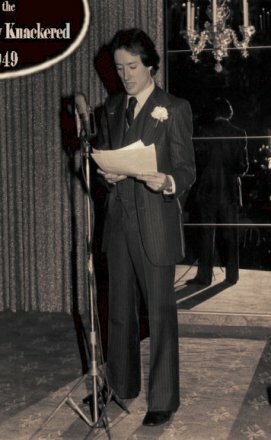 "We're up all-night for those who are up all-night!" 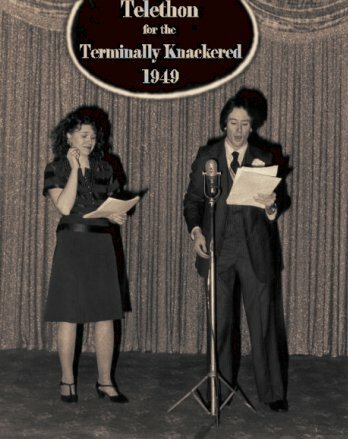 The first telethon for the Terminally Knackered, took place in 1949. 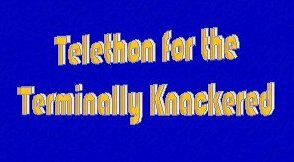 It was actually a radio-thon which was simulcast on the new fledgling medium of television. 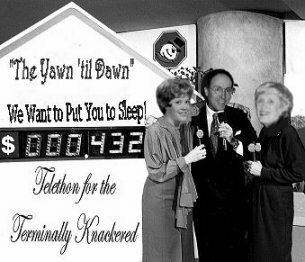 But undaunted, the "Yawn till Dawn" kept on broadcasting, and after some re-structuring (and a change of slogans), the 'Telethon for the Terminally Knackered' became the most slept-through fundraiser on television for people with chronic fatigue. 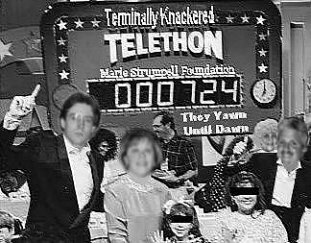 "Give us your poor, tired, huddled Spondys, yearning to sleep through the night ..."
Since 1971, the telethon has been supported by the Marie Strumpell Charitable Foundation.